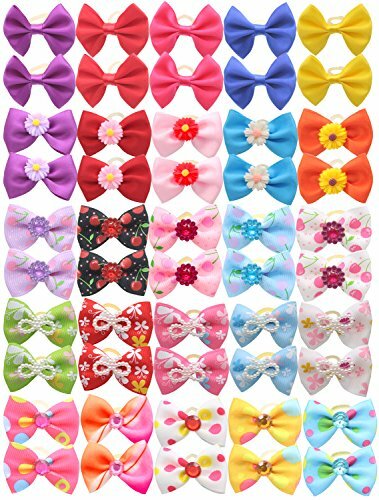 YOY 50pcs / 25 Pairs Adorable Grosgrain Ribbon Bling Rhinestone/Pearls Pet Dog Hair Bows with Elastic Rubber Bands (COME IN PAIRS). If you have any questions about this product by YOY, contact us by completing and submitting the form below. If you are looking for a specif part number, please include it with your message.